Today I'll be explaining how to flash Android Eclair 2.1 DDJG4 firmware on your Samsung Galaxy S GT-I9000. 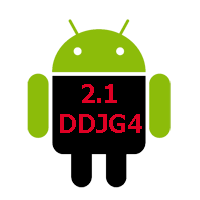 You can flash DDJG4 irrespective of the firmware you have currently installed on your Galaxy S.
DDJG4 is the official Indian firmware for Galaxy S.
This was the firmware that was pre-installed on the phone when the phone was first launched. I recommend installing this firmware whenever you wish to get an official upgrade from Samsung Kies in India. You need to have the Samsung drivers for your SGS installed on the desktop. To do so simply install Samsung Kies. Samsung Kies version 2.0.1.11053_99_3 can be downloaded from here. The next important point is to download the complete flashing package. The I9000DDJG4 complete flashing package can be downloaded from here. The password for this file is "http://techgom.blogspot.com"(without the quotes). Once you have all the things mentioned above you can now flash your SGS to DDJG4 in a few minutes. Extract the firmware you will find a folder named "I9000DDJG4.rar" inside that folder there will be "ADD_ODD.tar", "s1_odin_20100512.pit" and "Odin3v1.3.exe". Open Odin3v1.3 and then plug in the USB cable. Select PIT "s1_odin_20100512.pit" from the extracted folder. Click on PDA and select the PDA file "ADD_ODD.tar" from extracted folder. Press Start button to begin the flashing process. You will see the progress in both ODIN and your phone. You can now disconnect the USB cable from your phone and follow on screen instructions. Congratulations! you have now successfully flashed I9000DDJG4 on your SGS.